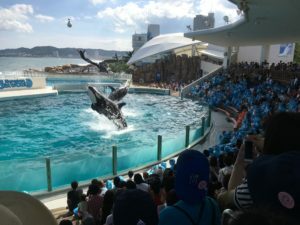 Kamogawa Sea World is a marine entertainment park and aquarium located on the southeast coast of the Boso Penninsula area, Chiba Prefecture. 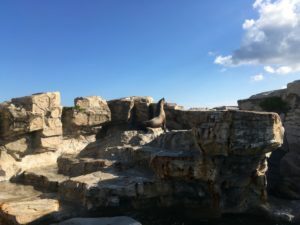 It has got several attractions such as a large tank where killer whales and their trainers perform several shows a day, and medium tanks where the dolphin, Beluga Whale and sea lions also perform. Cherished pets or common prisoners? An outrageous stunt or part of a worn out routine? Not always black and white. “I’m the King of the Castle!” or something like that. 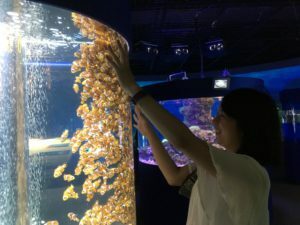 Two large aquarium complexes, “Eco Aquarium” and “Tropical Island” host a wide array of animals from glowing jellyfish to a giant Ocean Sunfish. 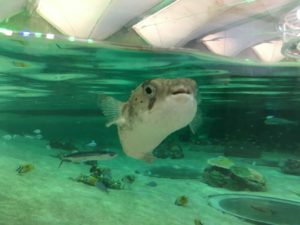 Did you know Sunfish feed mostly on various types of jellyfish? 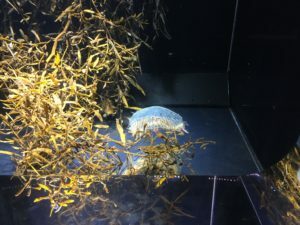 They must eat a lot to grow and maintain their size since jellyfish are low in nutrients. In contrast to the massive Sunfish, these little guys had ‘oceans’ of room. 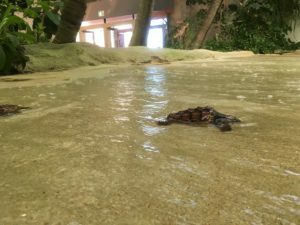 Tropical Island has a huge wave pool with a real mini beach with sand where you can see many tropical fish and baby sea turtles in a realistic environment. The displays in Tropical Island are brightly lit, interactive and colourful. You are all individuals! You are not the same! Several souvenir shops sell all sorts of items from Japanese rice crackers to sea animal themed novelty goods and stationary so you’re sure to find something for everyone. For being lethal, pretty cute. 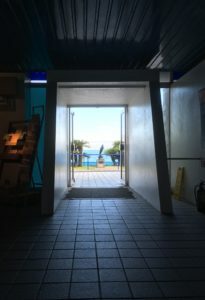 There are many places to eat a variety of dishes, if you get a chance try the salt flavoured soft serve ice cream, you won’t be disappointed. There’s a brave new world out there, I swear!